There is no comparison of anything to natural beauty because that is where perfection stays. Pakistan is a land of not just beautiful people but extremely beautiful and heavenly places. Whether they are the northern areas or toward the extreme south in Baluchistan; Pakistan is blessed with the beauty of nature. People from different parts of the world come to visit the country and the locals move to other areas for their vacations and family hangouts. It, sometimes gets difficult to decide which area to go to because every area has its own particular attraction. Below are listed some of the most sought after and breathtakingly beautiful places in Pakistan. Chitral is located in the northern areas of Khyber Pakhtoon Khuan and is the capital of the Chitral district. It is one of the most famous tourist cities of Pakistan and has loads of scenic views in form of lakes, rivers and villages. Tirich Mir is a popular mountain here which is also the highest peak in the Hindu Kush range. Garam Chashma, Polo ground and Chitral valley are few of the many places worth visiting there. Gilgit Baltistan or Gilgit as we all know it is the north most territory of Pakistan. There are number of views to see here but the Karakoram Range is the main attraction for people coming out of Pakistan. Baltoro Glacier, Hunza Valley and Deosai are the places which get most visitors. Skardu is a small town but one should not judge it by its size. People who have gone here have not been able to forget the scenic views which they got to see and therefore have even been praising the beauty. In fact, Gilgit and Skardu both are famous trekking spots for people with a lot of adventurous places to go. Skardu Valley is an amazingly beautiful lake where people not only go for pictures but do boating and fishing as well. It is a nice spot for family fun time and friend hangouts as well. Swat is famous in Pakistan and is known for being the Switzerland of Pakistan mainly because of the fact that it is covered with snow all year round. 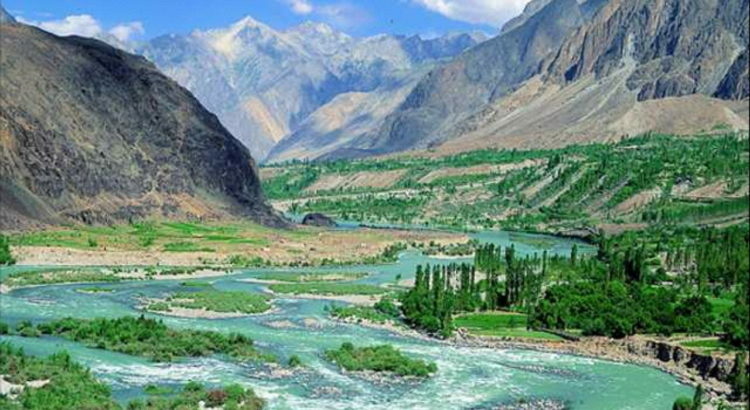 Swat Valley is a very old valley of the country but the beauty has not faded, in fact with people coming from all over the world to visit it, the importance has only increased. Hunza valley is situated between the Gilgit Mountains and stays beautiful all year round; whether summers, winters or even autumn. Recently, the place has been repeatedly visited by people and usually youngsters who come for their college trips. All these places are equally famous and there is now way that one can decide for which is the most beautiful or which deserves most appreciation. They have all been perfected in every way and continue to amaze people with its charm. Places like these become the true beauty and representation of this country.